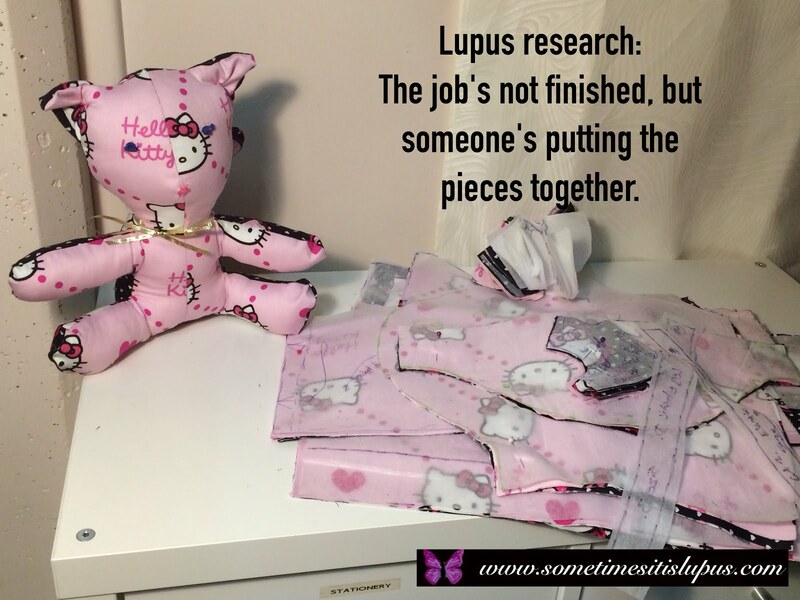 Sometimes It Is Lupus: What Support Do You Need? get-together in May last year. I have found a particular lupus support group to be an absolute blessing. 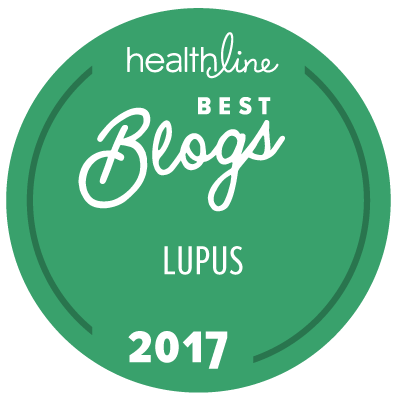 It's just people with lupus, and sometimes some of their family members, getting together for lunch from time to time, and supporting each other on-line. For me the opportunity to spend time with people who "get it", who just understand what it is like to live with lupus without me having to explain anything is a joy. Through this group I've met new friends who I basically only know on-line, but who have become incredibly important to me. These people who mostly live in my computer, but who I sometimes have lunch with, have become an essential part of my support system. I know someone, however, who was very frightened when diagnosed, and didn't feel this group supported her at all well. She needed some sort of professional support group - a counsellor or nurse to explain to her what lupus was and what she could expect. A group of people who were all sick, and not necessarily available in office hours or some other set regular time, and without the wanted information at their fingertips, just wasn't what she needed. Obviously, not everyone needs the same things when it comes to support. We all need some amount of information. When I was first diagnosed, I did my research, the same as I researched for news stories as a journalist, or for essays as a student, or for sermons as a minister. I got hold of relevant information in books and on-line. I read the research, and found out the information I needed. Not everyone has training and experience in research. 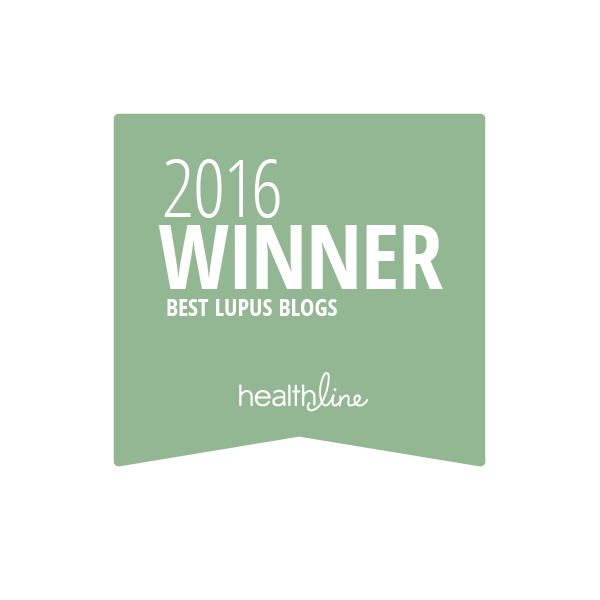 If you're not used to finding information, there's some basic places to look, over on the Lupus Links page. To find reliable information, go to the Medical Information section, and look especially at the government sponsored sites. That's your starting point. 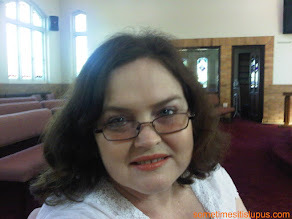 If you want to know more from there, see what links those sites give you. You can also write a list of questions for your doctor. Remember that lupus is a very strange disease, not everyone will get all the symptoms, not everyone will have the same severity of symptoms, and probably no-one can predict exactly what your lupus will do. If you're like me, you'll need to have someone to talk with who understands what it's like. 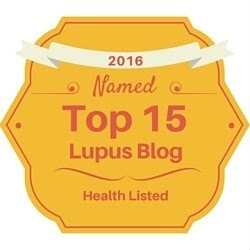 On the Lupus Links page, you'll find some support groups, there will be lots more out there, this is just what I found in a very quick search of the net, with additions made as I've heard about other groups. Support groups vary. Some are large enough to have a professional staff. Many others are more like the group I'm a part of, just lupies doing what they can (each within their own limits) to support each other. If you don't find a support person or group which meets your needs, ask your doctor to refer you somewhere appropriate. It may be that what you really need as a psychologist or counsellor to help you deal with just how much your life is changing. You can also find support on social media sites - and I have a few of those links listed as well. If the first site you try doesn't suit you, don't give up, and don't assume that makes the site "bad" it just means it's not for you. Try another site, eventually you will find what you need. 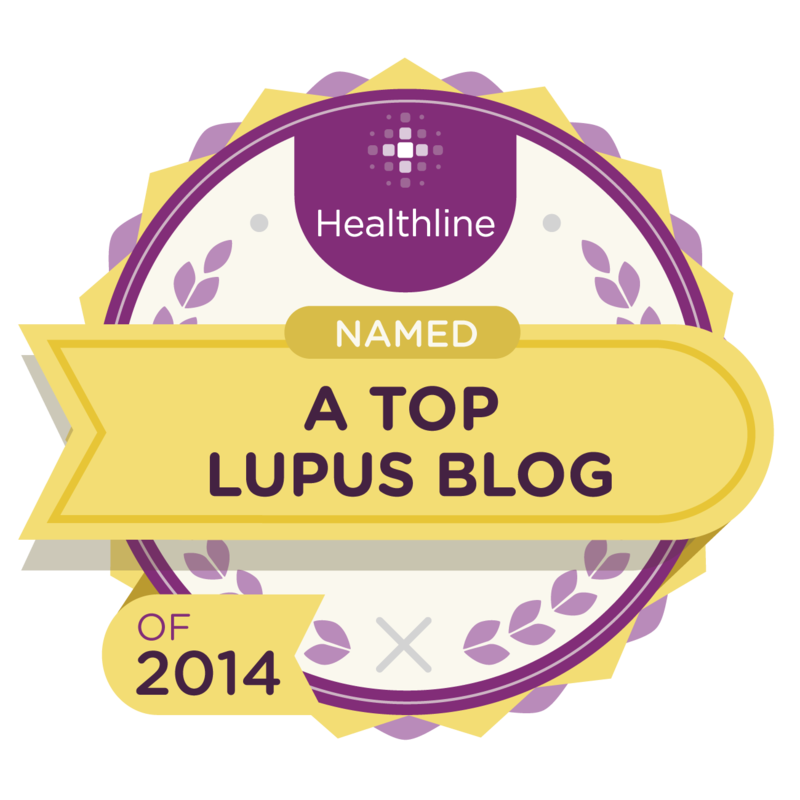 And there are blogs like this one - and you'll find a number of them on the links page as well - people who have lupus sharing what that means for our everyday lives. With blogs, bear in mind that the reliability of information varies wildly. Don't try to count on them for medical information. 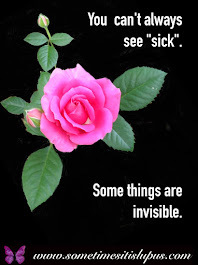 Patient blogs are more about awareness and sharing of personal experience. Use them to remind yourself that you're not alone, to see how other people solve some of the problems you face, even to take the time to have a laugh at your situation. If you've found a really great source of support, I'd love to hear about it. 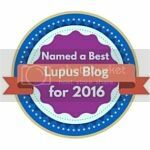 Please leave a comment on this post, or on the Sometimes, it is Lupus Facebook or Google+ Pages. A voice in the foggy dark. I love when people get together and say hi and how r u without wanting a hole list of what ails u right now,just a friendly Hello is nice! 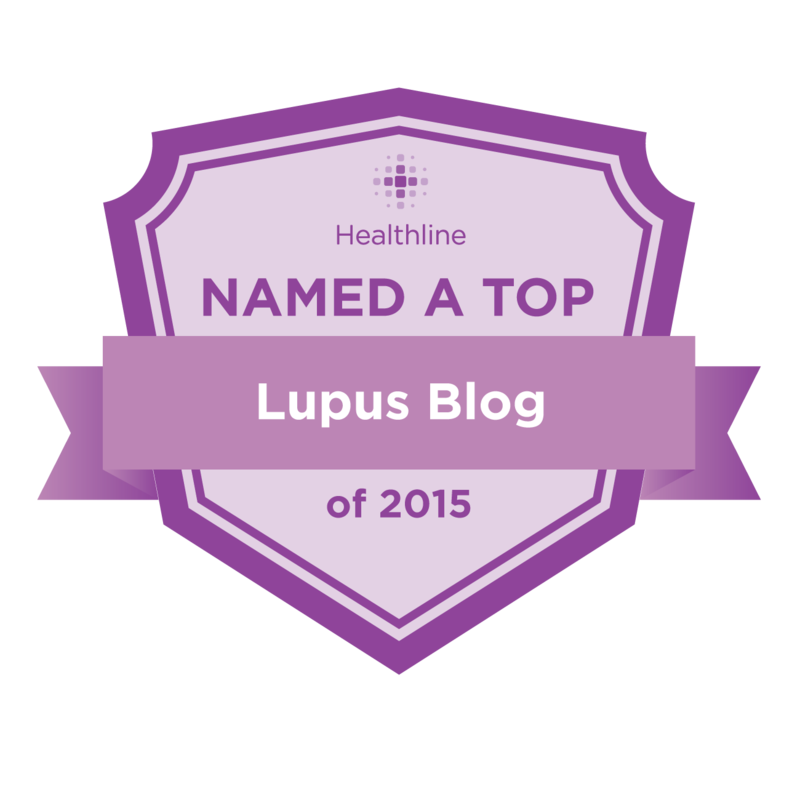 I have had Lupus for 23 years now. 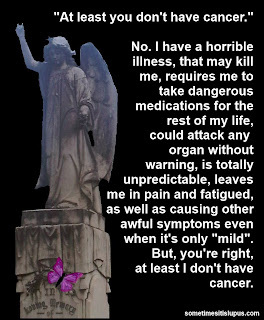 I have struggled on and off always determined to be one step ahead of this disease. In the begining there was not much support and little was known so I always researched on my own and just kept my disease to myself. This is wonderful. Thank you for allowing all to express their thoughts and know there is others out there who know your pain. Thank you for the info. I live in a rural area and support groups are about 30 miles away. You are a God send.